A fast-growing tree care company approached us with a challenging project to create a web resource enabling easy communication between industry customers, vendors and employees. They wanted a reliable, scalable solution capable of running quickly, both on PCs, and mobile devices. Inspired by the challenge, we came up with lots and lots of ideas. We decided to go for a SaaS cloud-based application to comply with the latest IT trends and make it a cutting-edge solution. 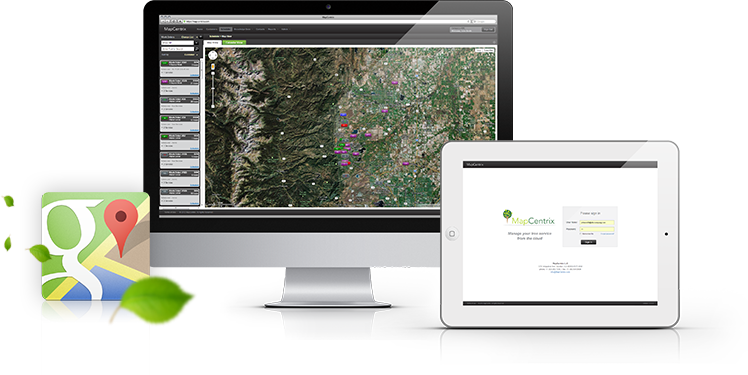 MapCentrix is an online platform for tree care inventory and event management. Imagine scheduling a tree care service in real life: getting people and equipment together, searching for information and assigning multiple orders to workers. This can be really time-consuming. We created an Event Scheduler functionality that helps easily schedule, change and track tree care services online. Now with MapCentrix, a tree care project got to be as simple as dragging and dropping. Sometimes making a tree care project possible means interaction of several users and placing more than 100 plants on the map. That was quite a challenge from the technical point of view. 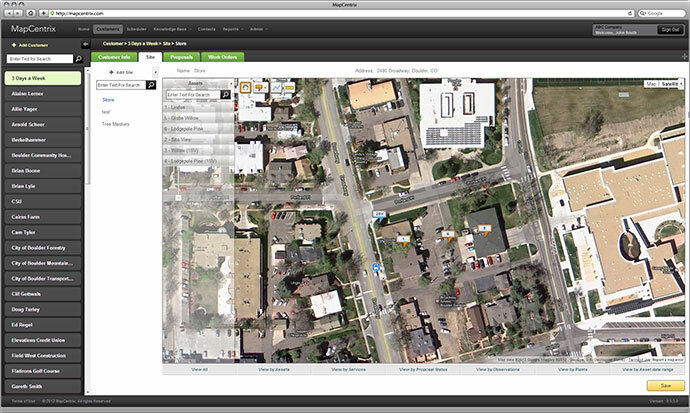 To locate all those objects, we incorporated Google maps and Google Geocoding services. A user can check out more than 100 objects simultaneously with great picture quality, add or delete objects, or change their description on the fly. Due to the proposed architecture solution, we presented a large, complex data structure in a simple, user-friendly interface with clear menu guidance. This made a data-overloaded application look not bulky, but compact and organized. With the implemented functionality, we cover the complete business workflow from beginning to end: users start by creating Proposals followed by Work Order Status Scheduling process, and Reports and Invoicing functionality, which helps tree care businesses and their clients see the history of their orders and payments online. Finally, MapCentrix is available to be used online as a cross-browser compatible SaaS application. All web site functionality can be accessed on mobile devices with iOS6 and browsers that support HTML5.